Achieving perfect fitness has never been the primary reason to practice yoga. Our adult classes focus on bringing awareness to every movement and breath. Together we come closer to attaining inner peace—and, yes, healthier, more relaxed bodies, too! Students of all levels—from beginner through advanced— who are interested in deepening their practice are welcome. Please check the class schedule to confirm class times and/or reserve your spot. Experience mindful breathing, meditation techniques and devotional chanting as you practice simple asana. You learn the fundamentals of technique, flow, breath and relaxation in a safe and structured way. The foundation of the asanas help you to connect with your inner self, thus connecting to the Divinity within. Vinyasa means ‘to place in a special way’, setting us up for a mindful practice of flowing movement linked with the breath. In each class you are guided through creative sequences, with smart and safe transitions between poses. We end the practice with a sweet savasana, allowing you to continue your day more focused, grounded, relaxed and rejuvenated. Discover new ways to strengthen your body. This class meets you where you are with safe challenges, deep mindful movement and the use of props. Whether you want to increase your strength to improve specific yoga poses, feel confident lifting heavier items with ease (like extra groceries, larger suitcases or growing kids! ), or just feel good in your body, you’ll leave this class feeling stronger and more grounded. Ideal for those healing from an illness or surgery, or wanting to gain more physical strength after pregnancy. Join us for a slow-paced, less rigorous yoga practice, where the emphasis is on alignment and breath. This is a wonderful class for those who want to be gentler with their bodies, perhaps because they feel tired, experience physical pain or stiffness, or simply want to be inspired by women practicing yoga at 88. Echo Lake area, near Lost Lake Road. Full address provided upon registration. We use gentle movement, breathing practices, and classical yoga poses—modified with the aid of props like bolsters, blankets, blocks and yoga straps—to provide more support to the body. This helps you to relieve the effects of stress, releasing tension, strengthening your immune system, and relaxing more deeply to support a calm mind and clear vision. 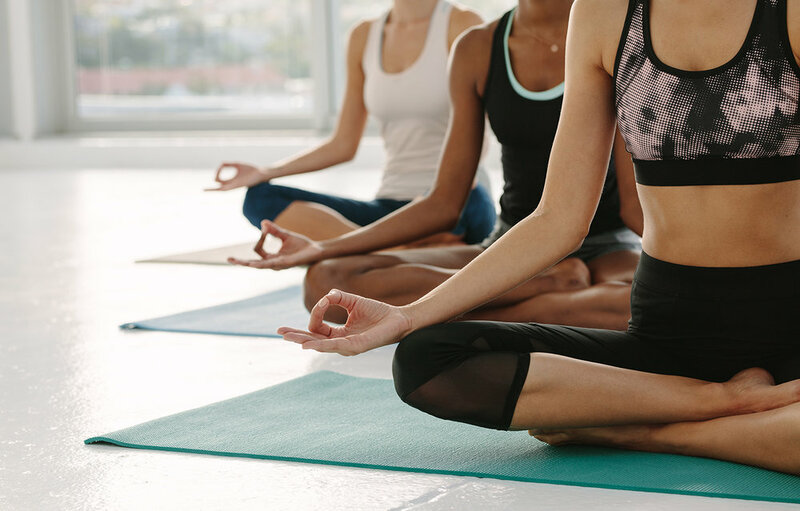 Students also enjoy our Restorative Yoga class as an especially helpful practice when feeling tired and depleted, or recovering from an illness or injury. It’s not always easy to feel emotionally balanced in today’s world. If you are experiencing ongoing anxiety, fear, frustration, anger, depression, insomnia, eating too much/too little, or other emotional issues, then this class is designed to be extra helpful for you. You are guided through a sequence of easy, supportive poses designed to balance the emotions and hormonal system, while helping to calm and sooth your mind and body. The goal of each class is to leave feeling more relaxed and uplifted—ready to live and love life.